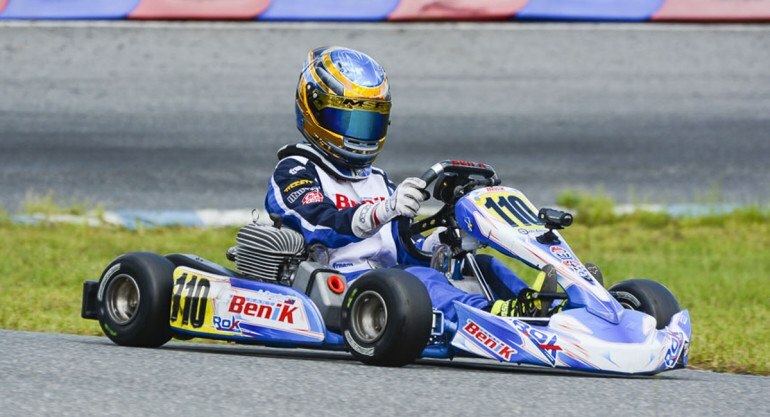 As ROK Cup USA heads into its final round of the series at the Orlando Kart Center this weekend, the anticipation builds as we wait to see who is crowned the victor for each of the seven classes. The Finale will not only name the champions for the 2015 season, but award five drivers a coveted spot at the ROK Cup International Final in Italy this October. And as ROK Cup USA closes out its official season, more details are released about the upcoming 24H endurance race, also being hosted at the Orlando Kart Center on December 5th of this year. With the drop and 50 bonus points for attending all 5 rounds, it’s still anyone’s championship to win, so we’ll have to wait and see what unfolds during the race weekend. Five spots are still up for grabs for the USA team and those spots will be determined after Sunday’s finals. The winners will have a chance to compete at the spectacular ROK Cup International Final, which brings drivers from ROK series around the globe to an exciting end-of-the-year event in Italy. So far, over 30 drivers from The Americas are scheduled to attend the event, with more being added to the list daily.